How do I lose 50 lbs of FAT? I had the pleasure of attending the Perform Better Training/Workshop Seminar the last week in August. Great speakers/presenters/professionals sharing their best “stuff.” Among those attending and presenting…Gray Cook, Mark Verstegen, Mike Boyle, Todd Durkin, & Alwyn Cosgrove to name just a few. People come from all over the country to meet, converse, and educate at the Long Beach Convention Center about how to help and inspire our country back to health, fitness and prosperity. Since our nation and other countries are engulfed in an obesity epidemic, I will focus this blog post on how we can help the many…those suffering from an abundance of fat. We don’t become fat overnight…it takes years of practice! It also takes time, commitment, & proper action to transform our mind and bodies back to a healthy state. Do we need to educate ourselves and learn practical nutrition? Definitely! For something humans do every day we are severely lacking in supportive nutrition. Don’t expect the big food producers to come to your rescue either…many would love to keep you fat and eating their products! You have to take a personal interest and intense conviction to help yourself…as you hold the key to your health, fitness, & prosperity. But this post is not going to deal with your nutrition; this blog will inform you about the type of exercise you should be doing to lose your fat most effectively. If you already know that nutrition or lack thereof is your weakness, then please contact me so that we can get you the education and strategies to lose fat fast. Your nutrition is clearly # 1 as to how much success you will have in ridding your body of excess fat. As far as your exercise is concerned, the correct fat loss programming and coaching will empower you to take control and accelerate your health and fitness and completely turn your health around. Examples of self limiting exercise include: jump rope, cross country skiing, obstacle courses, medicine ball throws, climbing activities, and goblet squats to an overhead lift just to name a few. Remember to differentiate between challenging versus difficult. The best training and conditioning is as much about learning as it is about energy expenditure. Learning opportunities are all around you… which will provide you with better mechanics, better coordination, better breathing, improved alignment, and better recovery between bouts of exercise. You will naturally push your limits, but your adaptations will provide you the fastest results with the least amount of abuse and breakdown on your body. What is the fastest way to fat loss results? Two to four metabolic acceleration and strength training sessions per week with a strong bias towards self-limiting exercises. Remember, you can get fantastic results in a short amount of time. Three to six hours a week of effective exercise can produce amazing results when supportive nutrition is in place and practiced. 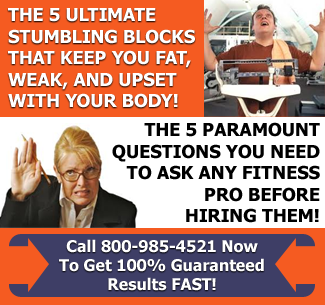 I’ve helped many clients lose more than 50 lbs. of fat even when high intensity exercise has to be limited. For someone like you who has no exercise limitations like serious prior back injuries or heart conditions 50 lbs. of fat loss can be achieved in 4-6 months. Considering it probably took years to pile it on and only months to lose it…that’s not a bad deal. Now, you have the latest and most effective information on how to lose 50 lbs. of fat or more. I specifically did not get into the scientific evidence that supports these practices because most people find it boring and typically just want results…fast! I understand that. Now…it’s up to you…what are you going to do differently to stimulate your desired results today and the years ahead? Anyone can do it… including you! 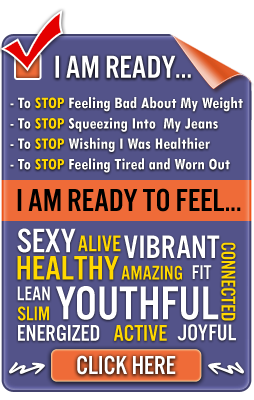 If you need help there are many health and fitness professionals that will support you…including me.